My house is smelling really good right now!!! 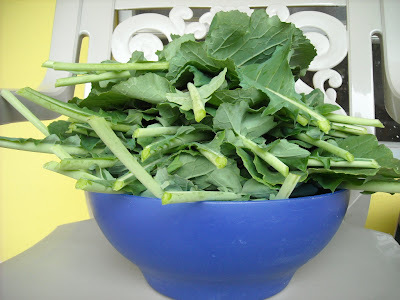 I went out and cut my largest collard leaves this morning...cleaned and stripped the large middle stalk out, and put them in a pot till my husband came home from his hike to cook them. I got a fair amount of them out of my modest 5 tires. I still have much more to come since I only took off the largest outer leaves!!! 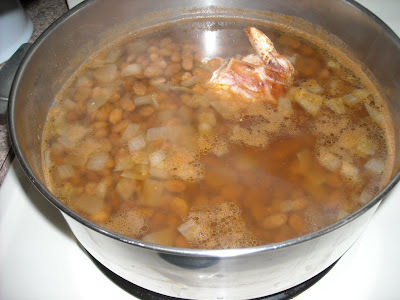 And a pot of pinto beans to go with them as well. Both with added smoked turkey! Hubby will make some homemade corn bread also, and voila...a delicious dinner!!! (I'm not proud)!!! LOL! 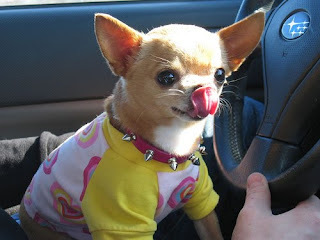 I am having a moment of weakness and had to look at cute chuhuahuas online today. Can you guess which two are my Doozey girl??? I am sitting here this morning looking out the back windows, there is a strong breeze and cold air outside, after a watery cold front moved through yesterday. I enjoyed all the rain and dreariness yesterday...it actually made me feel all cozy and happy. The collards are enjoying the cold air and it should make them taste even more wonderful on this coming Saturday, for the first harvest. My Mom and I will take the largest leaves from her and my plants, so we will have the day to cook them as they need to be cooked. Along with pinto beans, and corn bread. It will be a momentous occasion...we are waiting anxiously to taste our crop!!! I have picked up another cold which has been around now the last 4 days or so, with head and lung congestion...once again. Discouraging, to say the least. Winter is like this in Florida. I am looking forward to a LONG healthy summer!!!!! My south Florida dream house! We went to an artsy little village yesterday...walking along the blocks to a street festival...and I came upon this house, which I thought could possibly be my dream house! The two prickly pears caught my eye, and there is an unattached artist loft in the back! 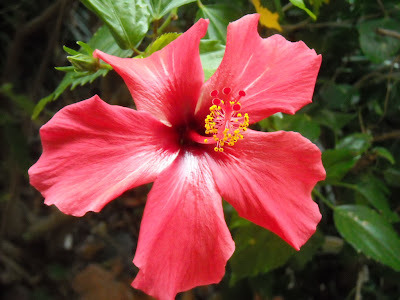 Of course, I would have to paint it with such cute colors and oh my goodness...it would be like living in paradise! Can you see the potential????? Check out the lovely winter skies down here right now, too! 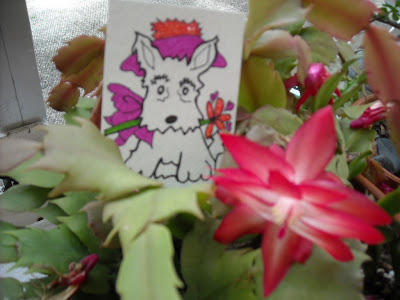 Happy Cactus Monday, and a big thank you to my DIL, Ginny for snapping this photo for me yesterday!!! Ugly to lovely in an instant! Well...nothing like walking out your front door, to take Doozey for a walk, and finding an old weed growing in your sideyard. This is indicative of the shape of my grass, sadly! BUT...on the good side, it has lovely daisy-like blooms, and look at what is attracted to it!!! Monarch butterflies!!! I snapped a pic and took the photo to an online photo editor, cropped it, added a frame...and voila...it is a work of art now! From seemingly ugly... to lovely in an instant! Isn't this true of so many things??? Easiest treatment for Leaf Miners!!! It has been two weeks since I sprinkled garlic powder on the soil and watered it in. No sign of any leaf miners returning! The plants have taken off in growth and are ready to be harvested soon! They look just wonderful!!! Thanks again Claude! Need help with felt ATC!!! Hello all ! I decided to post this little elephant ATC that I designed myself...solely for the purpose of gaining any advice you might have. I loosely attached all of the parts of the elephant with french knots (my new found love). 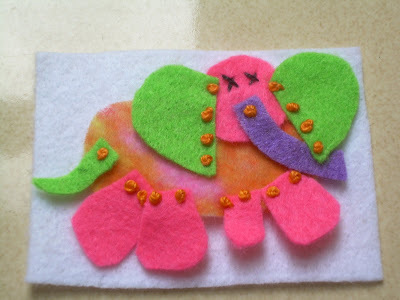 I have the elephant just laying on top of the white felt below it that is ATC size (2.5 x 3.5 inches). Now...I need to know if there is a way (hopefully not involving glue, but sewing)...or iron on somethingorother...that I can attach the ellie to the background...and still be able to handsew details on the elephant??? So, I don't want it to become stiff or impenetrable. I have also toyed with the idea of putting a felt back on the elephant and attaching it to the white felt ATC with Velcro so it could be removed to play with. The ATC is for a very young girl. I just love french knots!!! Interestingly, I told my Mom how much I love them, and she told me I "got that" from my maternal grandmother who used to french knot everything...pillowcases, etc. I loved learning that. She was my country grandma...and those of you who have been following my blog long enough, know that I am a country girl at heart!!! 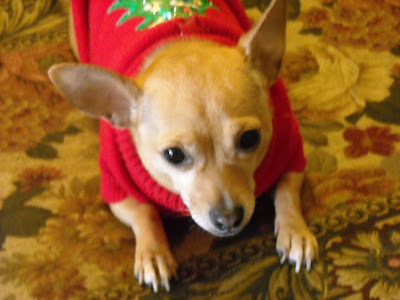 Today I am thankful for all of the good influences from my Grandma Dora!!! 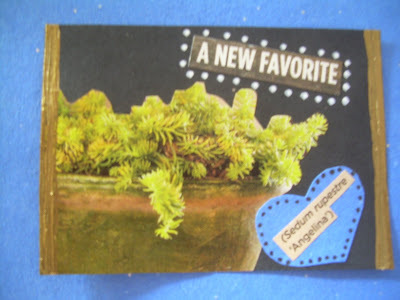 New fav- Sedum rupestre "Angelina" ATC! 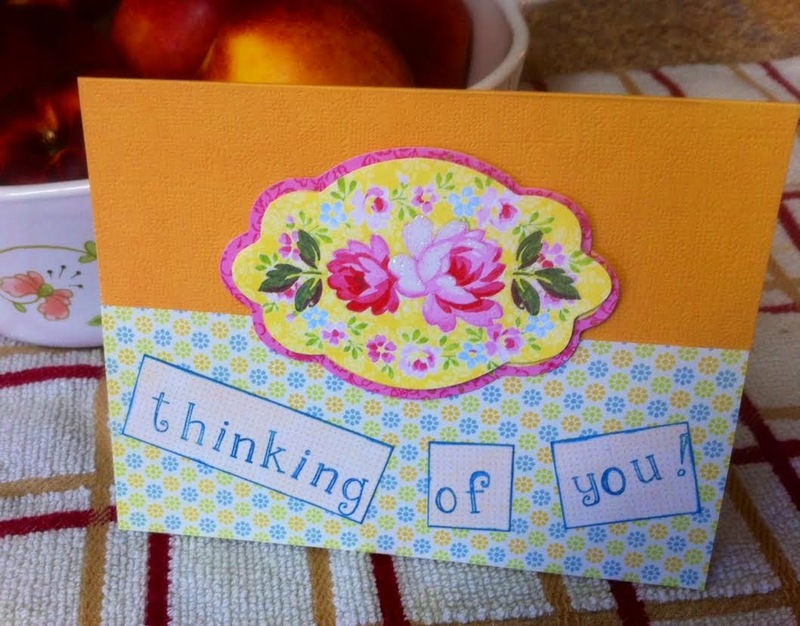 I was making some art with my grandson yesterday and just collaged this ATC from magazine photo and words. I love this type of Sedum. 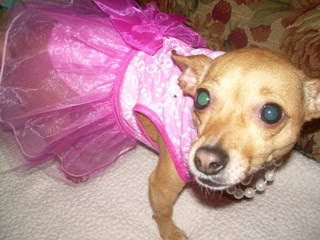 Well, the name is so angelic...how can you resist??? The soft starry shape is alluring and I can see a nice hanging bowl of this on my front porch! 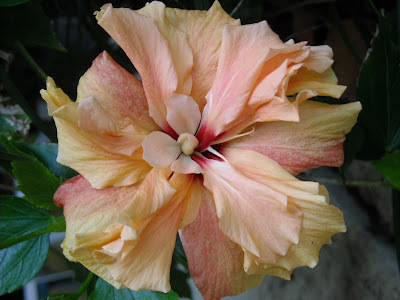 Below is a pic I found at Upland Nursery. 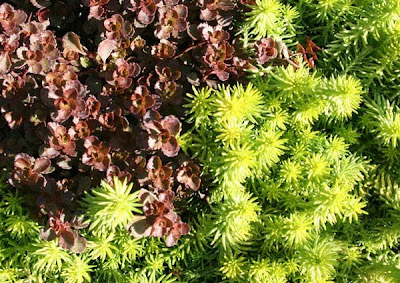 It looks really good next to this other sedum called Sedum Bronze Carpet!!! On Valentines Day I'm eating the colors of the rainbow!!! 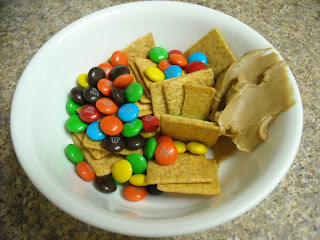 This is actually really good... take a Wheat Thin, dip in peanut butter, and then stick the peanut buttery part into a couple of M & M's. YUM!!! This was discovered late last night. I had two sources of inspiration for a leaf ATC today! 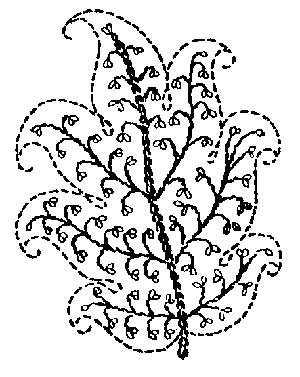 First is the quote below,and the second was this Jacobean leaf design. Here is the ATC top I freehandedly embroidered this morning. I like to do that, rather than marking a pattern...it just gives a more homemade look, which I enjoy! I decided to use french knots rather than beads, which was probably a mistake, because the beads would have been smaller. 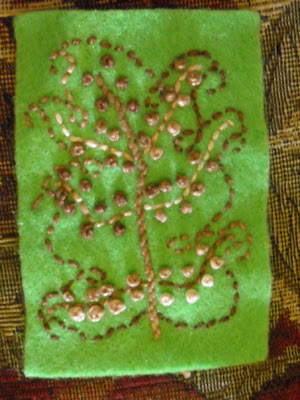 I didn't have room for the smaller leaf markings that would have lead out to the french knots. So, my feeling is that this is a real nightmare....except when I really look at it, it kinda makes me think of a busy paisley pattern (in a way). Ok...I'm probably streetching it a bit...LOL!!! My question is...do you think it is worth finishing??? I would only keep it in my own collection anyway...so maybe I will go ahead and find a way to add the back. 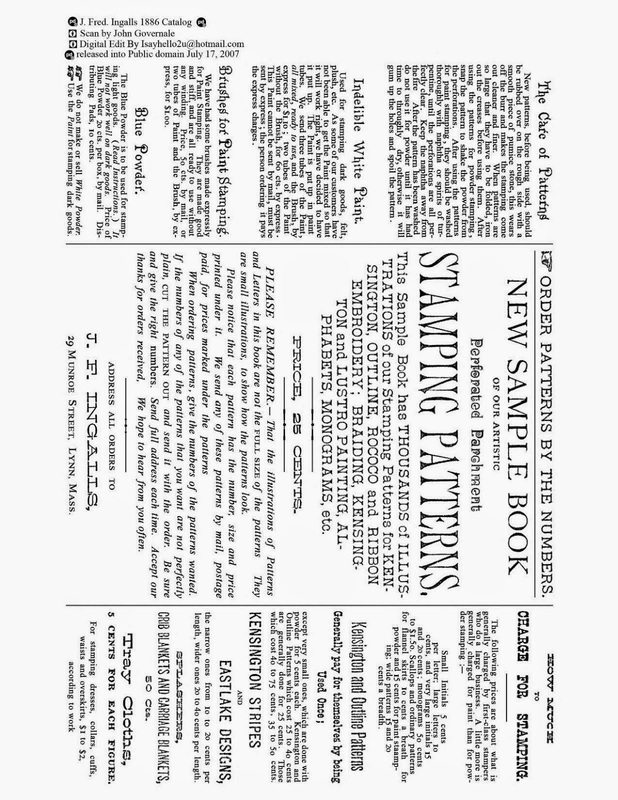 Here was my inspiration pattern found at Needle N Thread. “In this 20th century, to stop rushing around, to sit quietly on the grass, to switch off the world and come back to the earth, to allow the eye to see a willow, a bush, a cloud, a leaf, is an unforgettable experience.” Quote by Dr. Frederick Frank, artist. 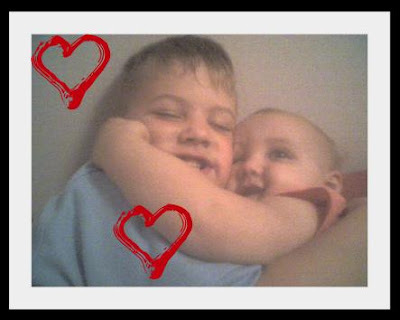 A picture of pure love...my grandkids (Donovan and Emily) hugging one night after a bath!!! Sorry...had to sneak this one in!!! LOLOL!!! Poor Donovans cheeks were being squeezed to death!!! 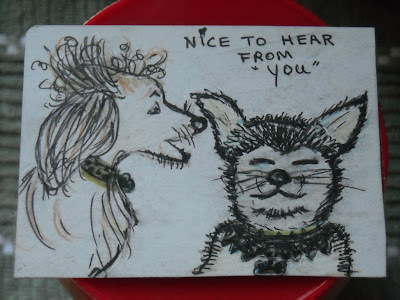 Artist Trading Card from my SIL!!! 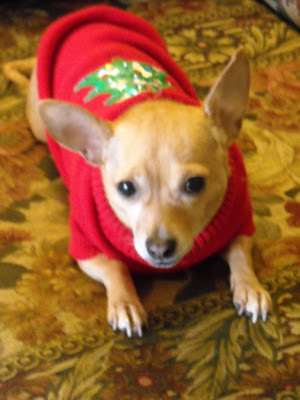 As many of you know, I had sent my little Valentine Doggy ATC (of Finnegan, my SIL's dog) to her in Louisiana. She is a country gal through and through, and a homesteader to boot! I never knew she could draw! Well...I just walked in my door and found this ATC she sent me...she just whipped it up right quick and threw it in an envelope! It is adorable, and what a surprise! She blew me away with it! She calls it "Nice to Hear From You"!!! LOLOL. It's true, we don't talk all that often!!! :) Hee hee hee...I'm calling her RIGHT NOW!!! Thanks Doris!!! 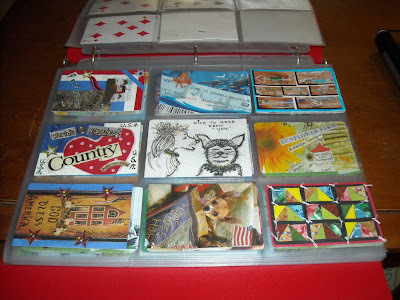 And here it is stuck in the middle of my ATC collector book in the "Country" section!!! LOL! 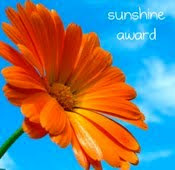 Walk2Write In Florida has given me an award!!! Thanks, girl!!! So sweet of you!!!!! 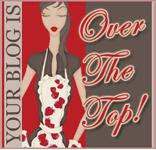 Again, I invite every one of my regular readers to grab this award for their blogs...cause...guess why??? I think you are all special and I love ya!!! So get it if you wish to...you all deserve it. BUT...do answer the one word questions below that is part of the deal. It's fun. I am doing it right now. Enjoy!!! Oh...and let me know if you do this, so I can come read your answers!!! Something You Aren't Wearing? Perfume. Kitten ear growth, and no leaf miners yet! 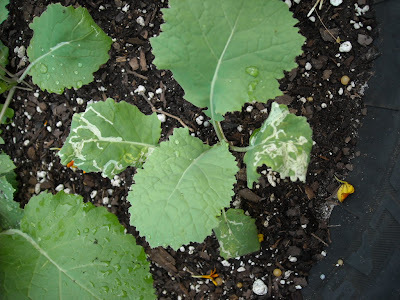 Well, I applied the garlic powder to my soil and leaves of the collards on Sunday, and today is Tuesday and I see NO FURTHER DAMAGE FROM LEAF MINERS!!! I am so excited and happy!!! I tell ya...Claude over at Random Rants and Prickly Plants is a genius!!! It's true, Claude, and you know it!!! LOL! Thanks to all of you for all of your sweet comments on my silly posts. I appreciate you all. 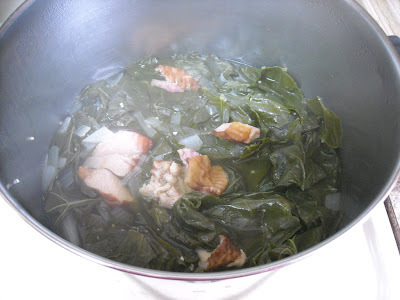 Oh...I also got my Moms garden of collards fertilized and garlic'd up yesterday. 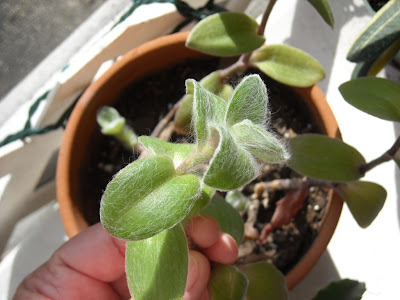 My Kitten Ear plant...all fuzzy and cute is putting out new growth, as you see here! 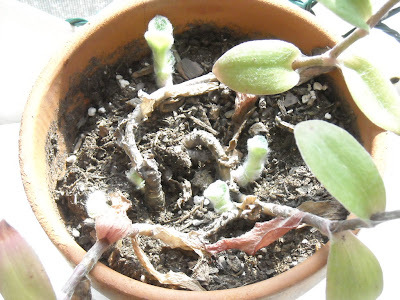 This little plant is such a mystery...very weird growth and dying habits. 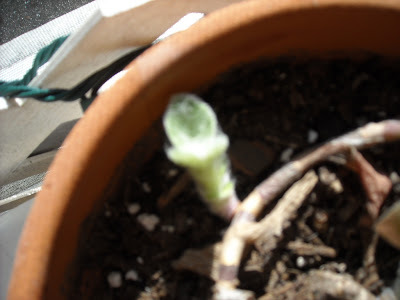 As I have said before on htis blog, you will think it is dead and gone, and then BOOM...it puts out new growth! These little babies are just precious!!! 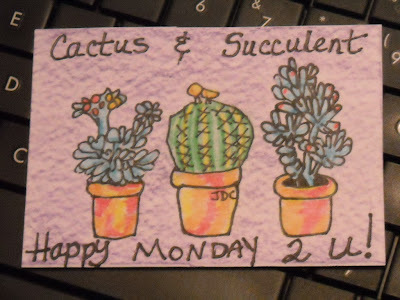 Happy Cactus and Succulent Monday! 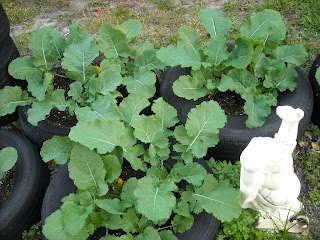 Just a quiick note to tell everyone that I removed all the leaf miner damaged leaves from my collard plants yesterday, then sprinkled a good dose of garlic powder on the soil in my tires and watered it in (this morning), and then sprinkled some on the wet leaves (both top and bottom)! 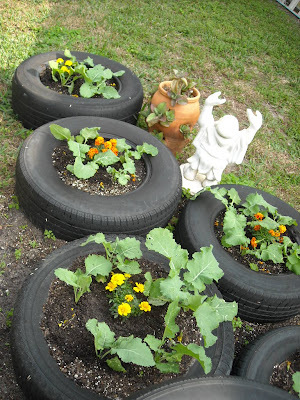 This treatment was recommended by my blog friend, Claude, at Random Rants and Prickly PLants. I had removed the damaged leaves yesterday, and did not see any further leaf miner problems today. I am keeping my fingers crossed and will definately report back on the rest of the growing time to see what happens. I am so happy Claude knew of this and I didn't have to do the soapy/garlic spraying. YEAH!!!!! Thanks Claude!!! Hooray for garlic powder!!!!! 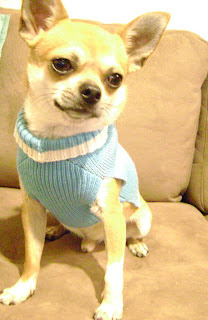 My Mom had to put on my sweater this morning after we got out of our cozy flannel bed...it was only 50 degrees out! Hey...this is terrible since I am supposed to be living in sunny south Florida!!! Anyway...I am feeling better now. 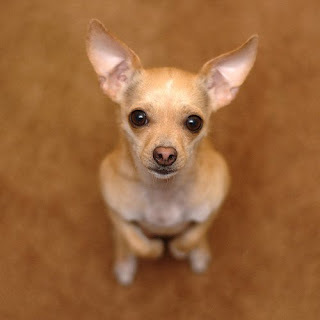 I was shivering and all I could do was stand there until my Mom figured it out...but actually it was my Dad who realized my condition and came to my rescue...insisting Mom do something! What a good Dad. Guess what? 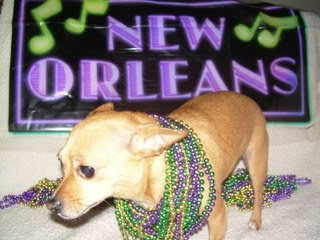 My human brother (one of them) and a friend drove from Louisiana to Miami and they get to go to the Super Bowl today!!! How exciting! My brother LOVES football, and this will be something BIG for him! The best part is that he will be able to stop by and see us on his way back home!!! Seriously though, the weather in Miami will be wonderful for the game! Cool, breezy, and sunny! I am so happy for the players and fans! 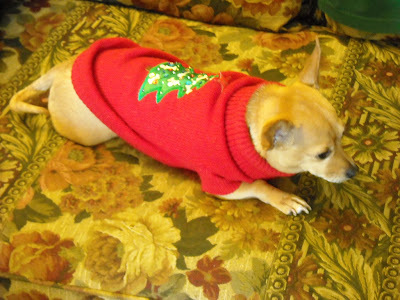 My family will be watching from the comfort of home, probably eating some of their yummy human food, which I plan to either steal or beg for (they usually cave)! Well it looks like I have some type of Cabbage worms on my collard leaves (actually IN my collard leaves)! 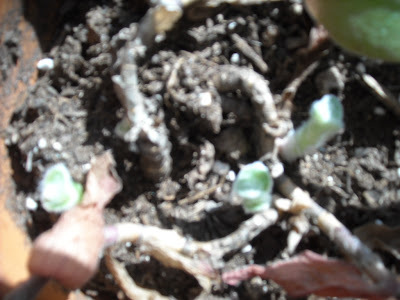 The get inside the leaf and burrow along eating, and it leaves white streaks of damage as you can see below! I was going to try mixture of both soapy solution and garlic juice mixed together and spray on the plants, but then I also read that you can plant marigolds in your garden to keep them at bay! I got some planted today...so wish me luck! I really don't want to make garlic juice in my house...ewww...stinky!!! I am determined for them to be organic! Some of my plants are quite vigorous and I think in about 2 weeks I may be able to start harvesting the outer larger leaves! This is gonna be delicious!!!!! 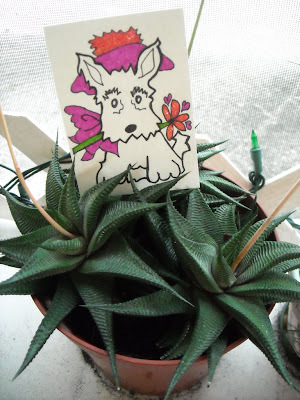 Valentine ATC in the succulents! 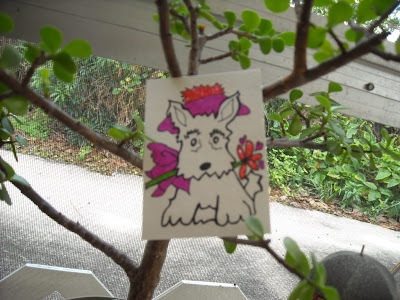 I got to looking up other vintage embroidery patterns, and came upon this little scotty dog who was so adorable...I used his image to make an ATC! I decided there was no way to actually make him black and show his eyes and other features as they should be, so I drew him out a little darker than the rest of the image. 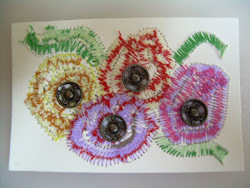 The flower, ribbon, and hat are colored in with Sharpies, and over the top of the more red color I used a sparkly shiny glue to give some sheen and shimmer. 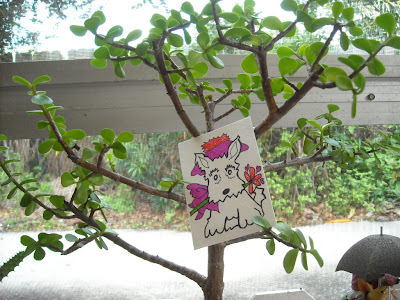 I don't think I am done with it yet, but when I am, I plan on sending it to my BIL and SIL in Louisiana...and their sweet litle Scotty dog named Finnigan!